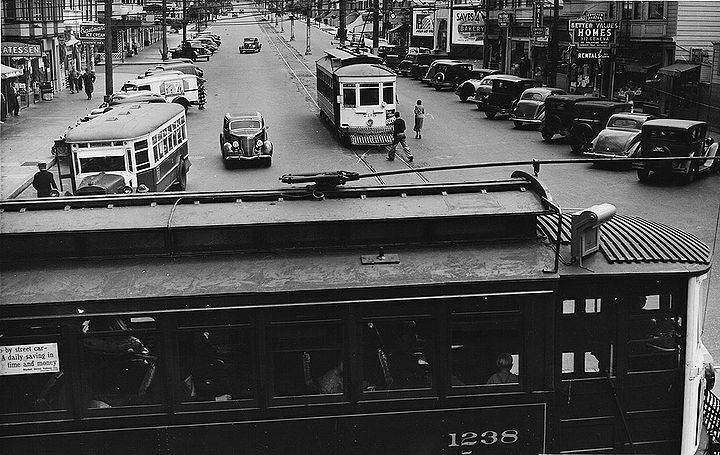 Streetcar on Geneva Avenue, Amazon Theatre behind it, 1933. 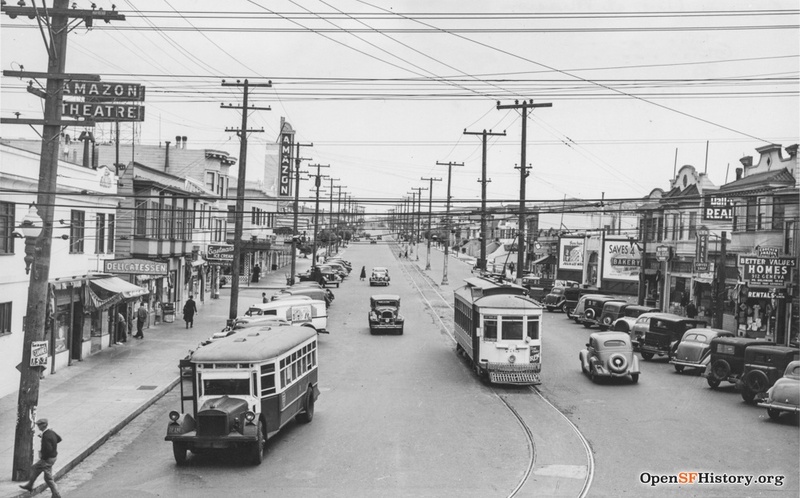 Geneva Avenue at Mission, c. 1930s. Geneva from Mission Street, July 2014. 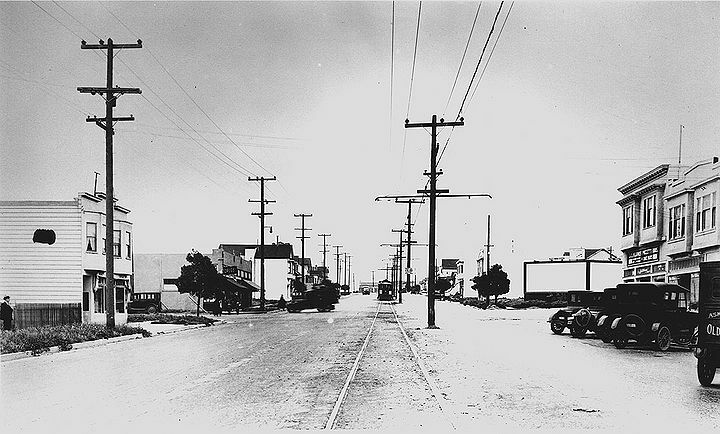 Geneva Avenue south at Naples Street, 1926. 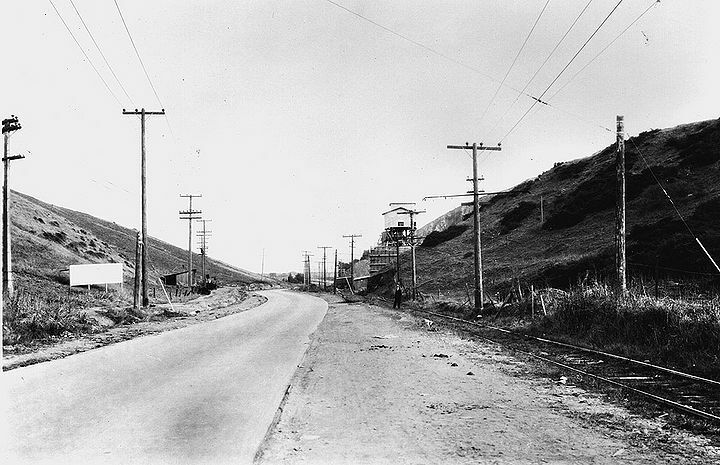 Geneva Avenue southeast near Brookdale Avenue, 1928. The final death was saved for the passing of the neighborhood itself. As all the older Italian and Irish patriarchs started to pass on, and the early '70s grew into the late '70s, Crocker Amazon started to take on a new ethnic character. One Sunday afternoon, my dad and I noticed Crocker Park -- an ill-kept ballpark more suitable for getting loaded than anything else -- transform into an amazing field of white shirts. In those white shirts were Samoans playing cricket of all things! More and more Samoans arriving each year, led to more elaborate cricket picnics and a new face was placed on Crocker Park. 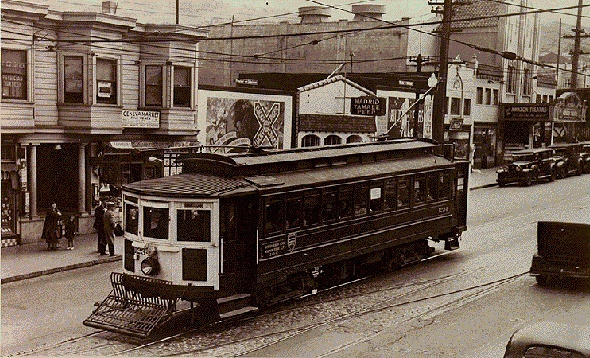 The old Amazon Theater on Geneva Avenue--famous for its ill-conceived kiddie matinees such as "The Boston Strangler" and "The Vampire Lovers" -- became The Apollo Theater, and almost overnight began showing Filipino films. The marquee would stay unchanged for months at a time, and I'll never forget the marque for "And Pang Babalik -- Staring Cowboy Nora!" 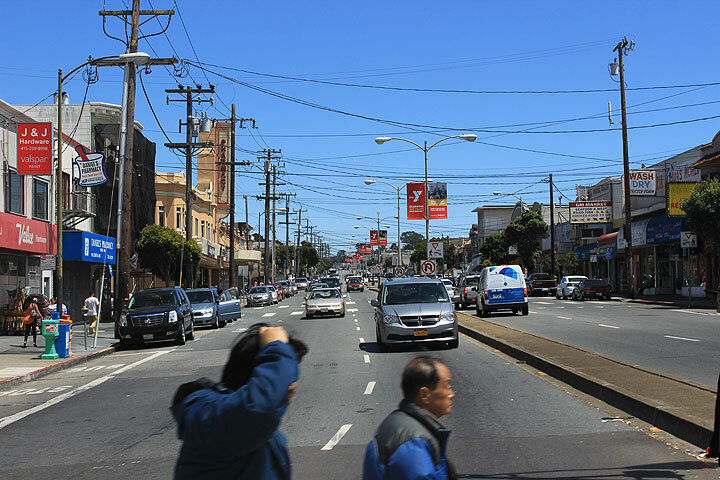 During the 1980's the area around Geneva & Mission became remarkably urban. With urbanization came an influx of more and more displaced immigrants. Filipino Grocers, Cambodian restaurants and a major laundromat replaced some of the old neighborhood standbys like John's Delicatessen, an old-fashioned style deli that catered to fans heading off to 'Niner homes games on crisp Sundays in the fall. But with that new ethnic influx the neighborhood also gained a new vitality; the change also represented the demise of Crocker Amazon as a haven from the gritty realities of inner city life. In 1996 a Popeye's Fried Chicken Stand opened up on the corner of Geneva & Mission, a monument to the neighborhood's demographic changes over the past two decades. The inner city had come to the hidden outer city. Crocker Amazon has gone through a full life cycle of a city neighborhood, from "safe" isolation to multicultural integration and diversity. But in reality, that veneer of safety never characterized the "real life" of the neighborhood anyway. 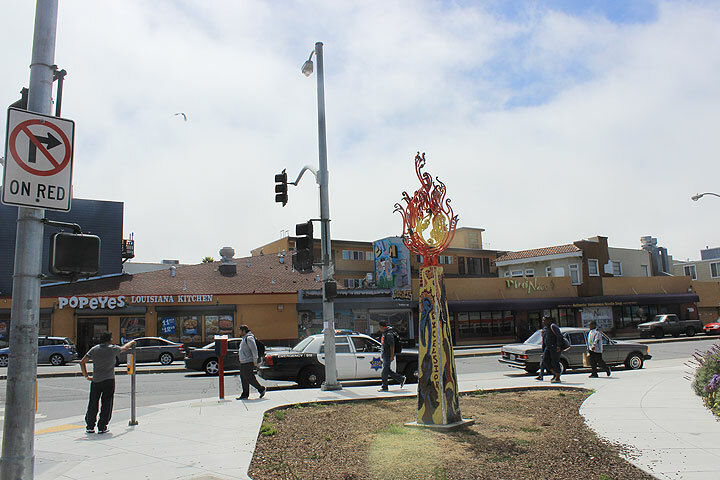 Intersection of Geneva and Mission, 2014, with Excelsior district sculpture in front of Popeye's and a Vietnamese soup restaurant across the street.